Animals Asia Birds Cambodia Bird stamps from Cambodia. 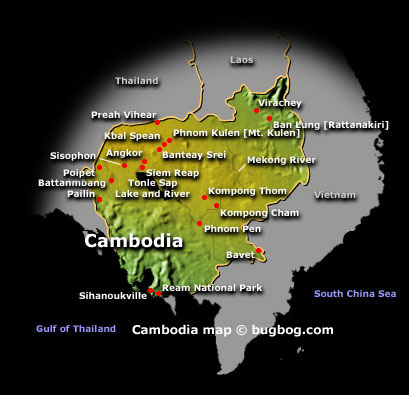 With a population of over 14.8 million, Cambodia is the 68th most populous country in the world. The official religion is Theravada Buddhism, which is practiced by approximately 95% of the Cambodian population. The country's minority groups include Vietnamese, Chinese, Chams and 30 hill tribes. The capital and largest city is Phnom Penh, the political, economic, and cultural center of Cambodia. 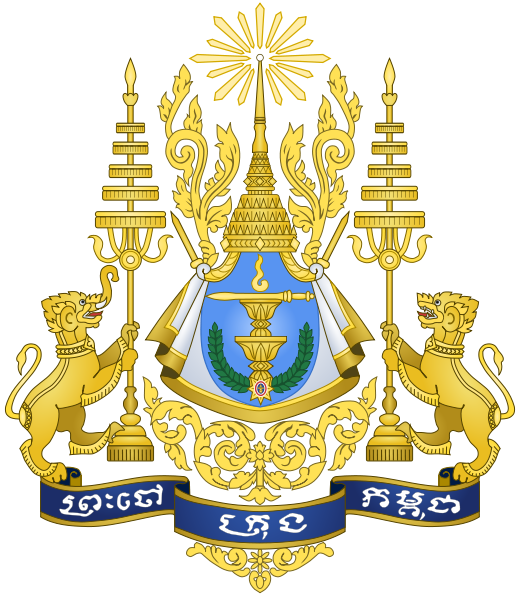 The kingdom is a constitutional monarchy with Norodom Sihamoni, a monarch chosen by the Royal Throne Council, as head of state. The head of government is Hun Sen, who is currently the longest serving leader in South East Asia and has ruled Cambodia for over 25 years. The Vietnam War extended into Cambodia, giving rise to the Khmer Rouge, which took Phnom Penh in 1975. 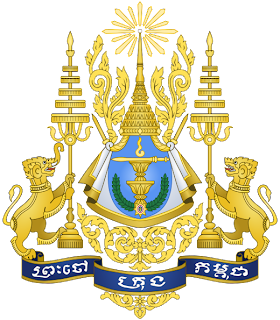 Cambodia reemerged several years later within a socialistic sphere of influence as the People's Republic of Kampuchea until 1993. After years of isolation, the war-ravaged nation was reunited under the monarchy in 1993 and has seen rapid progress in the economic and human resource areas while rebuilding from decades of civil war. Cambodia has had one of the best economic records in Asia, with economic growth averaging 6 percent for the last 10 years. Strong textiles, agriculture, construction, garments, and tourism sectors led to foreign investments and international trade. In 2005, oil and natural gas deposits were found beneath Cambodia's territorial waters, and once commercial extraction begins in 2013, the oil revenues could profoundly affect Cambodia's economy. Bird stamps from Caicos Island.